Smartphones are everywhere now. Being mini-computers, you can use them for practically any office task you can think of. However, dedicated office phones will always be better and make you more productive. Office appliances should be increasingly streamlined. If you have three devices that do the work of one, you should invest in that one device. Efficiency and productivity are key when it comes to maximizing your revenue potential. Here is an example. Office phones reduce the clutter. Most entrepreneurs and self-starters separate their office functions and needs through different devices. They will use a hotspot or router for Internet access. They will use a smartphone or text, calls, and email. They will use a computer to Skype. They will use virtual personal assistance to have calls redirected and forwarded to the appropriate people in their business. However, there is one device that can do all of this. The Used Cisco CP-7962G. Every minute that you are in the office is a minute that you can use to make money. By becoming more efficient and more productive, whether you are a sole entrepreneur or one of many employees. You need to consistently look for ways to streamline productivity, and moving to VoIP technology is a great start. You need an office phone because the demands of an office are different than in personal life. In personal life, you chat with friends, share texts, and send pictures to each other. At the office, you need to type reports, email data to clients and customers, forward calls to various individuals, and more. There is much more to do, and you need to do it under a constrained timeline if you want to succeed. The Used Cisco CP-7962G features high-fidelity wideband audio, which allows users to enjoy clear, crisp conversations while on the phone, even when the audio is compressed before being sent to the recipient’s phone like over a lossy network. Users can also enjoy a high-resolution grayscale display to access and use a multitude of the phone’s features. Some of the features you can access include: caller id, the current phone number, the date and time, and XML applications. XML, or Extensible Markup Language, can be loaded onto your phone, allowing you to extend the functionality of your phone. If you can write it in XML, you can display it on the grayscale display! Some examples include note applications, and reminders applications. Specialize When it Comes to Office Devices! Having many devices may feel more secure, but all this device redundancy will only make your workflow more complex. Instead of splitting up duties to different devices, use as few devices as possible. You can streamline many office functions by purchasing a dedicated office phone. VoIP technology is a great productivity booster and you should use one in your day-to-day operations in the office. Upgrade from your personal devices to devices specifically built to fulfill office functions. Upgrade to used Cisco IP & wireless phones today. For more information regarding used Cisco CP-7961G, used Cisco CP-7942G, and used Cisco CP-7962G phones, contact us at Network IT, serving customers in and around Toronto and the GTA. To learn more, or to place an order for an office phone, visit us in-store, or online at our website today. IP Telephone and VoIP service is a hidden benefit that many small business owners and operators do not know about. However, switching to a packet-distributed phone service like IP and VoIP can help their business by reducing expenses and increase revenues. While the end function of IP telephony and VoIP is the same as using a regular circuit-switched phone service plan (your call is connected), the process is different. You can save money, as well as secure your phone calls over your business network’s internet connection, by switching today. First, you need to understand how these phone service plans differ on a fundamental level. Why is IP Telephony and VoIP Different? Generally, your telephone and cell phone calls are routed through the public switched telephone network. Calls are sent via circuit-switching in order to route calls from a caller to a recipient. While the earliest circuit-switching was done by switchboard operators, now everything is digital. 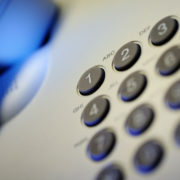 IP Telephony and VoIP are also digital, but different, since calls are routed via your Internet connection, rather than through digital connections. No physical connection, like a telephone pole or a cell tower, is required for the call to connect. Instead, your call is digitized and broken into packets, which is sent on your wireless connection to another phone, also connected to wifi. This difference in call connection provides many benefits to companies using IP or VoIP phones. Here are the top two advantages that you can benefit from by switching to a packet-switched telephone network today. Phone plans, especially for professional businesses can range from the tens of dollars per month, to hundreds. This depends on your network service provider, your plan, and your phone use. These costs, like all other costs, will add up over time, increasing your monthly expenses as a result. IP phone service is much more affordable than any phone plan. This is because you can route your calls through your Internet. Your calls will be able to connect faster and will be clearer, as long as your Internet connection is on. Since you are already paying for Internet, you should consider saving money and using an IP phone in order to reduce your expenses. By virtue of reducing your monthly business expenses, you are increasing your profits. By virtue of having a business network that is connected to the Internet, you should have at least one firewall connecting your network. Although more firewalls are better, even if you do not have one firewall, your router will have one built-in to its hardware. This means that there is at least one layer of security protecting the information that you are sending over your network. With this security already in place, it makes sense to route your calls over wifi instead of through a traditional phone plan. Having the ability to secure your phone calls is very important in business. You need to ensure that no one is listening in, that you can maintain a clear connection when talking to customers and clients, and that you can ensure that your call will be able to connect. Cisco Network Consulting and Support Services provide many advantages to your business. Whether you need routing and switching LAN/WAN, wireless, network security, IP telephony and VoIP, or more, Network IT can help. Visit us online at our website to learn more about how IP phone service can help your business succeed. Network IT has been providing new, used and refurbished IP Telephony and VoIP equipment as well as Cisco Network Consulting services for over 15 years to clients throughout Toronto, Ontario, Canada and Globally. The technology world is becoming a more detail-oriented place. Technologies are improving so fast that the average person is struggling to keep up with the changes that occur month to month, and year to year. Many people do not have the tech skills to fix their own computers and equipment and that is becoming more and more normal. Computers exist in everything now, even lightbulbs, and computers are becoming more and more complicated to fix and learn about. The sheer number of advances in computing have been huge, and their capabilities continue to advance daily. However, with all these advances, as great as they are, come increasingly complex and esoteric instructions to understand these new technologies. Unless you are a professional, you may have trouble even understanding common tech lingo and slang, which is featured in technical guides and documentation. This is becoming more and more normal every day. When this occurs, it is best to rely on the manufacturer for help. After all, they created their own products, and therefore know how to best service them. Most people, at one time or another, will struggle to understand their computers and network devices. Some people even have difficulty using simple tablets, which are essentially limited computers created with the sole intention to be as user-friendly as possible. That is why tablets have the big buttons, bright colors, and easy navigation. Our computers and network devices are simply progressing too fast for many people, regardless of their level of training and expertise. Even IT professionals usually stick to one isolated field of knowledge like network security or wireless devices or the cloud. Few IT workers generalize broadly in IT after they complete their entry-level certifications or have been in the industry for a few years. Even then, there are whole careers focusing on sub-topics like mobile security, cloud management, and network analysis. Eventually, even if you are tech-savvy, you will come face to face with some piece of technology that baffles you. However, there is no reason to fear if you do not understand the intricacies of your equipment. Simply purchase a Cisco SMARTnet contact and let Cisco take care of your devices for you. One of the great things about Cisco SMARTnet contracts is that they are not “one size fits all” like other companies’ contracts may be. Instead, there are varying levels of assistance, allowing you to choose the level that best suits your business needs, as well as your technical capabilities. Even if you have the knowledge, it may pay off for you to purchase a contract simply because it saves you a lot of time that could be better spent making sales or improving product development. Some of the options for assistance available with a Cisco SMARTnet contract involve access to user forums where you can look up and implement other users’ solutions to common problems, telephone access so that you can speak to a professional about your devices, and even on-site device repair in case you need some specialized help in your office or workplace to get your Cisco products up and running. Purchasing a Cisco SMARTnet is one of the most potentially valuable investments a company can make in regards to its IT equipment, computers, and network devices. If you are unsure of how to maintain your equipment, or you just simply do not have the time and need to focus on more important tasks, a contract is the right way to go. You can purchase contracts at Network IT, which services small businesses and entrepreneurs in and around Toronto and the GTA. For more information, you can visit us and contact us online at our website today. Many entrepreneurs and small businesses that operate out of their home tend to use limited networks and devices when carrying out their business. However, you should strive to use business resources and technologies as much as possible, since you are running a business. Just because you have a home-based office does not mean that you should cut corners with your business network by only using minimal amounts of equipment. In fact, your network in your home office should be just as good as any business network operating in a dedicated office space. If you do not have any routers and switches installed, especially routers and switches, you should consider doing so. Routers and switches are necessary when thinking about expanding your network, even if you are the sole employee in your business. Here are three reasons why you should add routers and switches to your home business network, and the advantages you will reap by doing so. As your business network grows, you will need more and more connections from your main computer to peripheral devices like security cameras, printers, fax machines, office phones, and so much more. The exact equipment you use in your business network is not as important as the eventual number that you will need. Expanding a business network, especially expanding one efficiently and securely, is more difficult if you do not use routers or switches. The larger your network, the more devices you will have, and you will need, to connect to each other. Even if you are starting out small, you should invest in routers and switches now so that you know you have the necessary devices in storage for when you need them. As your business grows and expands, you will most likely need to hire employees to scale up your business. No one person can keep an entire company afloat for very long. There is just too much to do. As such, you will need to add your employees’ devices to your business network, especially if they are working alongside you in your home office. Routers and switches like Juniper routers and Juniper switches make it easy to add other individuals and groups to your network, and to add their devices to your peripheral network devices. With routers and switches, your employees can easily access your servers, your printers, and more. Any device connected to the network can be connected to with your administrative permissions. Juniper routers and switches can setup an isolated intranet for you and your employees to perform business related tasks on. Intranets are advantageous if you want a private and more secure network to connect and communicate with employees, clients, and even customers. You can do so by setting up guest accounts and user controls. You can request data, share data, receive data, post data, and more, all in a timely fashion since you are all on the same closed network. This is a great way to ensure that everyone is updated on the daily happenings of your business, and your future plans for your business as well. Setting up a home-based network is not difficult, but you must make it a business network, just like your competitors. You may not have to rent out dedicated office space but that does not mean you should use less resources than the competition. For the best in routers and switches, purchase Juniper routers and Juniper switches from Network IT in Toronto and the GTA. You can learn more information by visiting us in-store, or online at our website, today. Sure, you may be thinking that you do not need an office phone, however, if for no other reason than privacy, you do, especially if you hire employees. Smartphones are awesome mini computers but they are vulnerable in ways a dedicated office phone is not. Every app you download and use has access to your information and system. Not so with a dedicated office phone. Every time you let an employee use your smartphone, they have access to your private information and system. Not so with a dedicated office phone. It makes sense to separate your phones, depending on the environment you are operating in. Used Cisco IP & wireless phones are a great investment to this end, and should be seriously considered by any entrepreneur that is initially successful in the beginning. Once you put your full time and effort into your business, you need to do everything in your power to achieve results. A dedicated office phone, like the used Cisco CP-7961G, is just one part of a large amount of dedicated things you need once you decide to scale up your business. Office space is another. Staff and equipment are other expenses that you will certainly incur as well. However, every expense that pays for itself and allows you to generate even more revenue is worth it in the long-term. This is the most practical reason why you should not dismiss the use and efficiency of a dedicated office phone like used Cisco IP & wireless phones. Sooner or later, every entrepreneur stops working from their laptop in a coffee shop and purchases a dedicated office space to expand his or her business. By scaling up operations, it is also common for entrepreneurs to start hiring staff in order to take full advantage of their new office space and increasing revenues. One of the first employees many entrepreneurs hire is a receptionist and/or personal assistant. With limited office equipment, especially at the beginning of scaling your business, you need a dedicated office phone that can be used by anyone in the office, whether they are the boss or the receptionist. A used Cisco CP-7961G is that phone! This phone is simple to operate and easy to use. Even if you have never used a dedicated office phone before, doing so is instinctual with a Cisco phone. With a used Cisco CP-7961G office phone, you can easily access backlit programmable lines, feature buttons that provide enhanced functionality, and a high-resolution display screen, perfect for certain features that require a graphical interface like caller identification and unicode text. If you have a dedicated office space, and dedicated office employees, you need a dedicated office phone like used Cisco IP & wireless phones. Simply using smartphones is not enough anymore, especially when you are dealing with the cyber security side of things. The last thing you want is to leave your personal information vulnerable to access from others, whether they are your own staff, hackers, or customers. Dedicated office phones are very simple to use, provide great results, and come pre-equipped with a function for practically any office task you could need a phone to handle. For the best in used Cisco IP & Wireless Phones, like the used Cisco CP-7961G, used Cisco CP-7942G, or the used Cisco CP-7962G, are great for entrepreneurs who are expanding their business operations and purchasing dedicated office space. For more information regarding dedicated office phones, as well as other dedicated office equipment, please visit us at Network IT, located in Toronto and the GTA. You can visit us in-store on online at our website today. Many business owners do not know office equipment beyond the staples like monitors, tower desktops, and printers. However, there are valuable pieces of office equipment out there, like routers, hubs, switches, servers, physical firewalls, and more, all of which can play a vital role in your business network. Creating an expandable and fully-functional office network is vital to business owners and operators who transition their business from sitting in a coffee shop on their laptop, to working in a dedicated office space with an office network that extends beyond their laptop. Scaling a business, and more importantly, scaling a business correctly is a vital need for any business. If you scale your business correctly, the transition will be seamless, allowing you to expand your operations, increase your revenues, and create a more loyal customer base. This is really important if you want to make your business your sole source of revenues in your life. Dedicated office equipment is vital in this regard. It is a truism nowadays that every bootstrapped business starts out with an entrepreneur sitting at a restaurant using free Wi-Fi to create a viable product or service. And sure, many businesses do start out that way. However, if successful, these businesses do not stay this way for long. While you do not need things like a dedicated office space, staff, or office equipment to start and maintain a business, you will in the future if you want to expand your revenue streams. Now that you have purchased office equipment like cameras, printers, fax machines (yes, people still use them), monitors, tower desktops, and more, you need to connect and integrate them into your technological business network. Using switches will help you do this easier, as they act as a middle point between your devices and the network. After all, you need to be able to connect your equipment together on a physical network if you want to be able to share resources between them. Purchasing used Cisco routers and switches can be a great way to expand your business technology network, and allow you to bring on staff and office equipment with ease. If you really want to take advantage of the technology out there today, then you should consider investing in used Cisco Gigabit switches, which take advantage of your gigabit network, combined with POE technology, to provide fast data transfers. If you are transferring large amounts of data around the office, or outside the network, then you should be purchasing some used Cisco Gigabit switches. Here is the thing. Many business owners and operators understand the need to curb their costs, especially at the beginning. Many business owners and operators are fiscally responsible and watch every penny they make or spend. However, there comes a time when business bottlenecks and business owners must make a decision whether they should invest in technology, or continue having their revenue streams bottleneck. Gigabit switches provide the benefits of POE switches, but with the added value of being able to run on Gigabit networks. Therefore, it is in your best interest, when you and your business are ready to scale up your revenues, to invest in switches today. For the best in used Cisco routers and switches, you should visit Network IT in Toronto and the GTA. You can learn about the benefits of used Cisco POE switches, as well as used Cisco Gigabit switches either in-store or online at our website today. Expand your business today! Many businesses today utilize cloud computing to fulfill many of their networking needs. And why not? Cloud computing is very popular among people from all walks of life, and for all different purposes. Some people like using dropbox to store their media library. Others host their websites on the cloud. Others backup their business files using an encrypted cloud server. The possibilities that the cloud can extend to your business are endless and you should take full advantage of them for your business. If you use Cisco equipment in your business network, you owe it to yourself to consider purchasing Cisco Network Consulting and Support Services, specifically Wireless mobility. Doing so will “free” your business to conduct business from anywhere on Earth using the cloud, which means you will get a lot more done, every day, from anywhere. The cloud has been a godsend for businesses in every industry and in every country. Rather than require your employees check into the same office each and every day of the week, your employees can work from anywhere. Working part-time on vacation? No problem. Working while on a business trip across the country or around the world? No problem. Working from a different device than the one you use for work? No problem. Going wireless has freed many business and employees from a typical 9-5 in a typical office, allowing them to expand operations and personalize the employee experience. Going wireless can do the same for your business as well. When you purchase Cisco equipment, you are purchasing top of the line equipment. There is a reason that Cisco is the gold standard of IT technology. However, to truly appreciate the output of this equipment, and the benefits such equipment will bring to your business, you need to maintain, support, update, and improve, your equipment. This is where the value in Cisco Network Consulting and Support Services lies. When you purchase consulting and support services, you obtain help and assistance to maximize the benefit you receive from Cisco equipment. With wireless mobility, this means that you will be better able to plan the use of your wireless Cisco networks, understand the uses and limitations of such a network, integrate your business network with the cloud, and more. You can easily maximize your business’s productivity this way, finding mobility uses for your company that you might not have considered before. For instance, instead of hosting your website’s files on a local server, you might think about hosting them on a cloud server, along with backups, so that your website rarely, if ever, goes down. This is just one of the ways how cloud computing, and wireless mobility from Cisco, can work for you and your business. In business, you need to take advantage of every opportunity you get. After all, if you do not, your competition will. It is a tough world to succeed in but there are tools out there than make your climb easier. Wireless mobility is just one tool. Many business owners and operators take advantage of Cisco Network Consulting and Support Services. You should too. Such services include Routing and Switching LAN/WAN, Wireless, Network Security, IP Telephony and VoIP. If you are interested in any of these services for your business, you should contact Network IT, which helps business in and around Toronto and the GTA. For more information, or to order these services, please visit us in-store or online at our website today. In any transaction, as you have time and time again, buying the best does not stop once you purchase the initial product. Like any product worth its price, you need to figure out the costs to maintain, support, upgrade, and improve your product over its lifespan. This is fundamental to ensuring you can maximize your use of the product. The same is no different when you purchase any Cisco product. In order to maximize your use of your Cisco products, you should really consider purchasing a Cisco SMARTnet contract as well. Think of Cisco SMARTnet as a support contract that guarantees you regular maintenance, as well as special channels to contact Cisco, over a specific timeframe. It is no different than any other warranty for any other product in that regard, with the exception that Cisco products are quality and so too are their contracts. When you buy the best, you should want to maintain the best as well. You can contact Cisco directly by phone, email, or website, and they will respond to your query on a pre-set time frame, depending on the level of SMARTnet contract you have. Cheaper contracts cost less, but they also include slightly longer timeframes so you should be aware of that when looking over the different types of SMARTnet contracts you can purchase for your products. Cisco’s reputation is stellar, and not only for their product lines. While their products are top-notch, they also fulfill their contracted SMARTnet requirements as well. You can rest assured that Cisco will go the extra mile for you and their reputation is living proof of this. After all, if they did not, their reviews would not be as positive as they are today. With a SMARTnet contract, you can contact Cisco via several different forms of communication. You can phone, you can write them online, and you can access online forums for assistance via the Cisco Knowledge Base. These options are great for IT workers who have questions regarding their Cisco products, especially the forums. The forums will be filled with individuals who have already solved the same issues that you are experiencing. This means you can maintain and improve your Cisco products faster and more efficiently. Time is money. Purchasing a SMARTnet contract will free you up to make more. With a SMARTnet contract, you are given the right to upgrade the software on Cisco products that are paired with contracts. This is a great feature because ensuring that your software is upgraded to the latest version will ensure that any open vulnerabilities that have been caught will be dealt with. As a result, you get a Cisco product that is more resistant against vulnerabilities as a result, as well as your business by extension. Networks are like a chain link. The chain is only as strong as the weakest link. Therefore, you should consider purchasing a SMARTnet contract, even if for no other reason than to ensure your Cisco products are always up to date and as efficient as possible for your business networking needs. For more information about the benefits of a Cisco SMARTnet, you should consider contacting Network IT, which has served the Toronto and GTA communities and local businesses. Every business owner and operator that has the IT budget for it should seriously consider purchasing Cisco products and SMARTnet contracts. Their IT department will become much more efficient and capable, and the business will be more productive, as a result. To learn more, you can either visit us in-store, or contact us online at our website. Every business owner and operator needs a computer network, even if they think they do not. Most entrepreneurs start off with a laptop, an internet connection, a phone, and maybe a printer/scanner in their living room. However, as you earn more and more revenue, as well as start hiring employees, you will most likely move to a dedicated commercial office space with your staff. You will then have to connect your computer and computer accessories to those of your employees, so you all can keep in touch throughout the workday and become more productive. This is the formation of your computer network. It may have seemed simple at first, and it probably was, but your needs will become increasingly complex, as will your network by default. Every business owner and operator should understand and utilize their business network as efficiently as possible. Speed counts for a lot, whether you have employees transferring files between each other, or you need to host a company blog that loads quickly. To this end, you need to consider using Juniper routers and switches. If you do not currently have routers and switches connected to your network, you should consider adding them. Switches are paramount for any network because they manage network traffic. See, data is often too large to send over a network in one piece. Therefore, data is broken up into pieces called packets and sent along the network in parts. These parts are then re-assembled on the destination computer, reviving the data that you sent to your recipient. Unless your recipient is well-versed in networking and computer fundamentals, he or she will not be aware of this specific process. Switches are a great addition to any network because they increase the capacity and speed that you can send data on your network. This means you can send larger files faster to your recipients. Speed means everything when you are constantly working under deadline, and even when you are not. Clients and customers enjoy receiving files faster and adding Juniper switches can boost your relationship with them, not to mention you are making your business network much more efficient in doing so. Routers are also a useful addition to any network. Instead of connecting computers to each other like switches, routers connect networks of computers to networks of computers. This means that every time your business network connects to the network of customer 500 miles away, you are using a router to do so. This is a fundamental difference. As such, you need routers and switches to increase your network’s capability and efficiency, both between computers within your network, and when connecting to computers outside your network. Using Juniper routers and Juniper switches can help you do this. Improve your network’s speed and efficiency today! When building your network, either for the first time, or continuously as you progress your business, you need to be forward thinking and consider the future usage and needs of your network. As your business grows, the requirements of your network will as well. You need IT equipment that can do the job and routers and switches are no exception. For the best in network efficiency and capability, choose Juniper routers and Juniper switches. Having a faster, more efficient, network will pay you back tenfold as you will be able to complete your work quicker and for much more satisfied clients and customers. The difference will be clear. For more information on how to make your network more efficient, or to fulfill your networking needs, visit Network IT, serving Toronto and the GTA, either online at their website, or in-store, today.